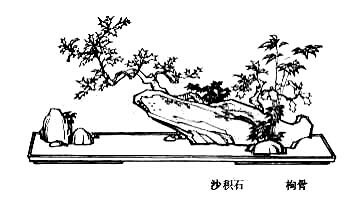 This site allows you to read some Chinese classic texts in original language and with some translations. Your browser must display Chinese correctly. If you can't or don't want to get Chinese font, you can visit this site in No-Chinese mode. (A link at the foot brings you back to normal mode.) To help you reading these texts, each character is linked to a short on-line dictionary and a small pop-up appears if you stay a moment on a character. This site has a version française. Now, see intro, general table of contents or go directly to the Book of the Odes (Shi Jing), the Analects of Confucius (Lunyu), the Book of Changes (Yi Jing, I Ching), the Book of the Way and its Power (Daode Jing, Tao-te King) attributed to Lao-tse or the 300 Tang Poems anthology. Each book has also its own table of content. je vous remercie pour ce site extra ! On ne remerciera jamais assez ce beau travail, offert gracieusement au sinophile. On en devient gourmand, que les maîtres nous pardonnent : pourrai-t-on voir, un voir prochain, les liens explicatifs des idéogrammes traduits en français ? En tous cas, longue vie à ce bel et efficace site ! L'Énergie Primordiale manifestation d'un Espace Temps!